Ursula Plesner earned an MA in Communication at Roskilde University, where she also completed a PhD in Communication, Business and Information Technologies in 2009. In addition, she has an MA in Sociology from New School University in New York. Since 2009, she has done research and taught at CBS, the first three years as an assistant professor and for the last six years as an associate professor at the Department of Organization. Plesner’s research focuses on how digital technologies transform various aspects of work and professional relationships through empirical studies on what happens to professional relationships when work processes are digitised. She also examines what happens to bureaucratic structures, accountability and professional relationships in digitised public sector organisations. Christian Jantzen earned an MSc in Finance and International Business at Aarhus University in 2016. During his last years of study, he was also a Nova 100 talent ambassador and a community builder in the Aarhusian tech startup and entrepreneurship association #AARSOME. But as early as 2011, while simultaneously doing his bachelor degree, he founded Jantzen Properties with his father, and the company has since grown from eight to 100 apartments, for which he is also on the board of directors. After earning his graduate degree he founded the gamer-owned Overwatch and Rocket League organisation, Reunited Esports, to establish a global e-sports brand jointly with a partner – an educational process that lasted six months and failed. A month later he established an investment fund, Futuristic.vc, where he both financially and with his expertise invests in Nordic tech start-ups in their very earliest stages. With nine companies under his wing, he can call himself Denmark’s youngest venture capitalist. How do we get through digital transformations sustainably? It is said that there will never be a more monumental digital transformation than the one taking place today. CBS will be taking a closer look at this issue at the next CBS Business Connect event on 10 October 2018. We have talked with two of the panellists, a researcher and a tech investor, to illustrate the breadth of the views and observations that will be presented. What do digital transformations mean for us as a society? What will they mean for employers and employees? And what skills must students and graduates possess to remain relevant on the job market? The answers to these questions and many more will be addressed at the next CBS Business Connect event: ‘Creating sustainable, digital transformations’. 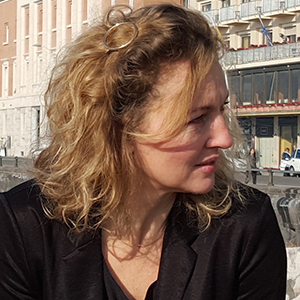 We have spoken with CBS researcher and Associate Professor Ursula Plesner, who studies how digital technologies transform various aspects of our work lives and professional relationships. She urges us to move with caution and take time for reflection. Tech investor Christian Jantzen, who we also spoke with, believes that we are lagging behind and cannot get up to speed fast enough. - At the same time, there are managers in companies and organisations getting stressed out by the specific tasks and challenges accompanying digitisation. Many work processes become more transparent and visible due to digitisation, which means that managers either have to consider what to do with the detailed data themselves or spend a staggering amount of time making decisions about how the data should be applied. Sometimes digitisation means that some operational considerations end up overshadowing other important managerial tasks. - With digitisation and automation it’s more a question of carefully considering what is meaningful and what best pays off. You can’t automatize everything. It takes humans to consider economic priorities and subjects like the citizens’ legal rights. There are tasks in the public sector that are so complex that the human aspect of administration has to be incorporated in a well-considered way. Right now, however, the digital transformation process is moving with such incredible speed and lack of thought that it is making reality even more complex for many of the players who should actually be on top of the situation. Plesner points to the Danish Customs and Tax Administration as a good example of a reality too intricate to gather everything in a single system. The problems surrounding automation are not just technical, such as outdated systems and inadequate programming. There is also the fact that the people who work with algorithms cannot always see through them, which is why illegitimate decisions are made. Or the opposite may be true, that systems can be so transparent that they are more easily cheated than people. - People use their experience, intuition and observations about the context; digital systems do not do that. One example of automation that had to be withdrawn is the New York Stock Exchange, which had been fully automatized, but people who could interpret and relate to the data subsequently had to be put back in the equation. That is what my colleague Daniel Beunza calls blended automation. We have to stop and think more deeply about how we organise the division of labour between digital technologies and people. - If you look at what’s referred to as disruption in the banking sector, for instance, I think it’s interesting to note that there are not fewer employees, just different types of employees who are solving new tasks – in reality, it may rather be a question of undergoing a major reorganization that is more about developing new products and business procedures. If we’re to talk about sustainable digital transformation, we should in my opinion focus on well-thought out, blended automation, explains Plesner. 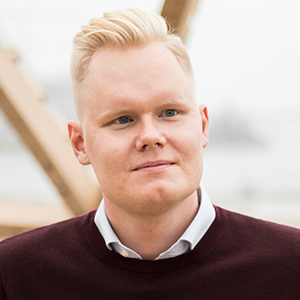 For Christian Jantzen, who is a venture capitalist specialising in Nordic start-up tech companies, sustainable digital transformation is more a matter of who gets to define what happens, and especially who get to live off it. This means that it is not a question of being a first mover but a fast mover. - There’s a lot of hype, but we can’t escape the fact that digital technology has fundamentally changed the way we live our daily lives. It’s a development that we can neither stop nor slow down, which is why we simply have to look it right in the eye as a society. If we don’t choose, the world will choose for us, asserts Jantzen. - Europe is traditionally poorer at technology than the US, and now China. The best we can muster against the really big tech companies are SAP and Spotify. China has invested heavily in the last decade and now has two of the world’s biggest tech companies. To provide some perspective, Silicon Valley alone invests 7-8 times as much in tech annually than all of Europe combined. - We need to change our mindset. If Uber is an example of how we manage things legislatively, then we’ll lag behind in the game. These are just two of the many points of view and observations being presented at CBS Business Connect, from 15.30 Wednesday 10 October 2018 in Ovnhallen at Porcelænshaven, where we will bring together leading researchers, business people, politicians, students and representatives from organisations and the authorities to discuss how we best create sustainable digital transformations. - It’s crucial for us to understand what digital transformation will mean for our educational programmes, skills, management styles and business models so we are prepared to handle them as strategically wisely as possible. This is also why digital transformations are a key research area at CBS through our Business in Society Transformations Platform. - Digital transformations are inevitable. That is why I hope that lots of our friends and partners decide to stop by CBS Business Connect to learn more about what is perhaps today’s most relevant topic.